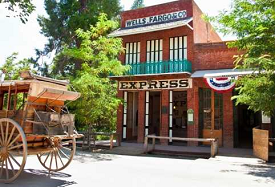 When writing out your bucket list, you may find yourself penning, “Must See Califonira’s,” and pausing to ponder… what ARE the top hot spots to see in California? There are a lot of beautiful and unique places to visit that sets the Golden State apart from the rest of the country. To assist you with your Bucket List agenda, here are the top 5 California maps and guidelines to the ultimate destinations. California is known for its year-round sunny and pleasant weather, perfect for visiting the beach throughout the year and it definitely has some of the country’s most beautiful beaches. They are perfect for catching some waves, building sandcastles, or just relaxing under the sun with a nice book. For those that are curious about which beach has the best body traffic, or want a change of scenery and would like to visit some place new, they may want to refer to a map of the top beaches that California has to offer. 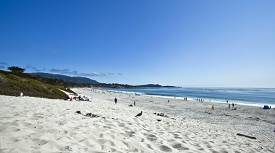 The site http://www.californiabeaches.com/map/top-10-best-beaches-in-california-2016/ features a map and list of some of the top beaches all along California’s coast, including La Jolla Shores, Santa Monica State Beach, Carmel City Beach, Pebble Beach, and more. As mentioned previously, tourists love to visit California. 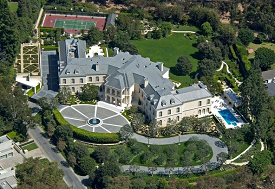 The main hotspots are usually Los Angeles, San Diego, and San Francisco, but California has so much more to offer. With so much to see, visitors may want additional help figuring out places they should visit and things they should do during their stay. 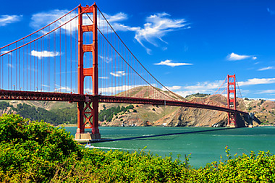 The website https://travel.sygic.com/en/list/what-to-see-in-california-region:79 shows a map and provides a detailed list of the must-sees in California, including Disneyland, Yosemite National Park, the Golden Gate Bridge, the Hollywood Walk of Fame, San Diego Zoo, and more on this California map. Have you ever just wanted to get away, whether it is just for the weekend or a whole week? If you have ever wanted to just grab your keys and go, you may be in need of a road trip. You can prepare your own route and itinerary, but if you are feeling a bit lazy, want to avoid traffic or aren’t quite sure where you want to make stops, you can use a pre-made road trip map. 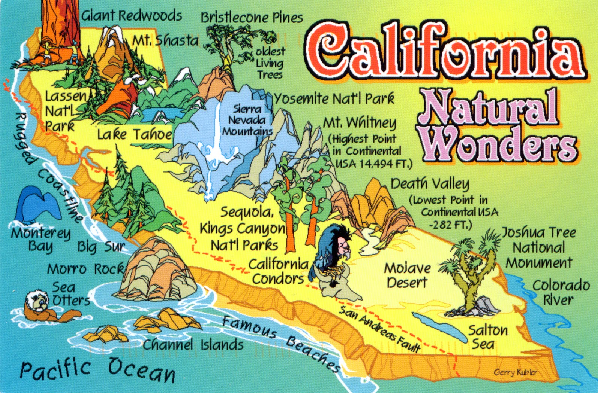 The website http://www.visitcalifornia.com/region/road-trips displays many road trip maps with trips ranging between 3 to 10 days, allowing you to choose the best option for you, depending on what you would like to see and how much time you have available. Trips include the Wild North Coast, Volcanoes to the Sea, California Gold, Sierra Adventure, Highway One Classic, California’s Heartland, and more.